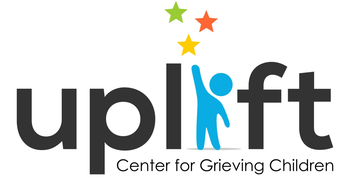 We are looking for volunteers who wish to be involved directly with families in a meaningful way or who want to help support Uplift Center for Grieving Children through behind the scenes work. Our present volunteers can attest to how rewarding and personally fulfilling their involvement has been. Work directly with our peer support group programs for children in grades K through 12th or our concurrent caregiver groups. If you care deeply about children/teens and love to listen to them; if you are capable of tolerating sadness; if you are able to appreciate the joy and hidden gifts within children; if you are willing to share your own humanity; and, if you are willing to make a commitment of time and energy, we have a place for you. If you are interested in being part of this rewarding work, we’d like to hear from you. Volunteers are required to take our training course and are asked to commit to one year of service. Seasoned adults (preferably with a professional background in counseling, though not required) are needed to help lead peer support groups for caregivers of grieving children. Adult peer support groups provide support for adult grief as well as psycho-education and support for parenting a grieving child. Begin the volunteer application process by completing the form below. Interested in learning more about the business practices and administration of non-profits? Volunteers are vital to the growth of any non-profit. Make your mark and join us as an office volunteer.A lot of work is done behind the scenes at Uplift. As we continue to transition to our new space and database systems, we are looking for office support. This would be ideally suited for a student or professional who would like to gain the experience and knowledge of the behind the scenes and administrative side of a non-profit. Are you a planner, an organizer, or a doer who likes to make things happen? We need volunteers to help with special events, fundraising and to serve as ambassadors to the community. Click the button below to fill out our online office volunteer application. For additional volunteer opportunities, please contact Kevin Carter, Clinical Director. John’s mom continued to encourage John to come to grief groups. John explains, “What kept me coming was surprising. Sure, it helped to be with other kids whose mom or dad died. But I also learned that I had something to give to other kids. We supported each other, and I slowly started feeling better about myself.” John carries his Dad’s license in his wallet. He still grieves for his Dad. But today John is a Center volunteer as a helper for young children. “The work helps preserve children’s childhoods. That’s why I do it.” – Yvette. “He looks forward to coming to The Center. He’s having an easier time expressing thoughts about his father. He is a little less prone to temper flares; and although he’s still headstrong, he’s starting to cooperate more. At school he’s getting better at following directions and not getting into trouble as much.” – Mother, commenting on her six year old son whose father had died.